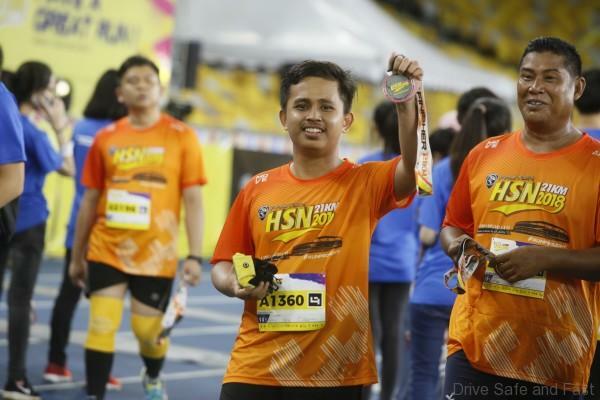 The atmosphere at Bukit Jalil National Stadium, KL Sports City was a mix of merriment and competitiveness as runners from across the country took part in the PROTON HSN21KM on 13 October 2018. As strategic partner and title sponsor PROTON offered one lucky runner a brand new Proton Iriz, valued at approximately RM46,000, as the grand prize in the lucky draw for the event. 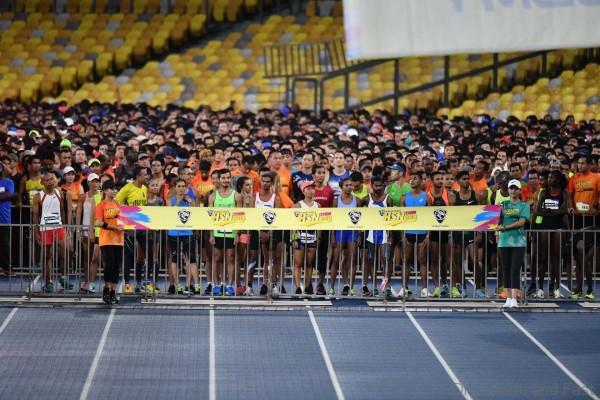 The run, which attracted approximately 12,000 runners, was a signature event for the Hari Sukan Negara festivities. Runners competed over three distances – 21km, 10km and 5km, and multiple age categories ensuring everyone from professionals to hobbyists and first-timers had a chance to compete. Dr. Li Chunrong, Chief Executive Officer PROTON, Dato’ Radzaif Mohamed, Deputy Chief Executive Officer PROTON, Abdul Rashid Musa, Vice President of Sales and Marketing PROTON, as well as PROTON suppliers and dealers also took part in the run, setting a good example and showing the Company not only encourages healthy lifestyle internally, but also contributes towards the health of all Malaysians. 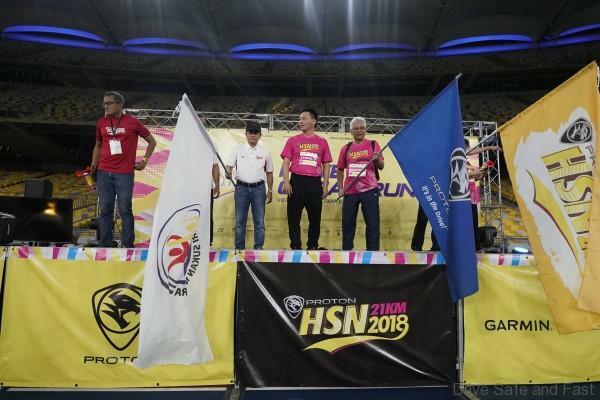 PROTON HSN21KM runners, who were recruited via an online campaign from 1 March – 31 August 2018 were offered with lucrative prizes for the various categories, with up to RM60,000 up for grabs, in rewarding them for such healthy habits. 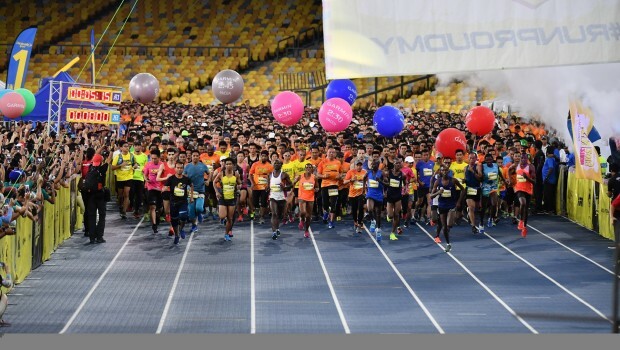 The winners of the 21km Open Men’s and Women’s categories were rewarded with a RM 7,000 cash prize, with smaller amounts offered to finishers up to 5th place. Cash prizes were also offered to the top five finishers in the 10km race – for the Open, Veterans and the Malaysian’s Fastest categories. For the vast majority of contestants though, HSN21KM was a way to take part in the national sports day while also having fun with friends and family. Because it was a night race, first timers and fun runners also didn’t have to deal with the element of heat, which they were very thankful for. Apart from the Proton Iriz, other great prizes offered in the lucky draw include ‘runcations’ at the Okinawa, Gold Coast and Bangkok Midnight marathons, holiday stays in Malaysia and many more exciting prizes. In line with PROTON’s active support for HSN21KM, MUSE Group Sdn Bhd also offered a rebate of up to RM1,500 for the first 30 customers who signed up and purchased a selected Proton model.